Kiss & Makeup : A few of my favourite things..
Hi guys, sorry I've been slacking on the blog posts lately I've been super busy as I'm just on the verge of moving house! Anyway I thought I'd do a quick post on a few of my favourite things that I love apart from fashion and makeup! I spend most of my time reading magazines, blogging, shopping or doing makeup but often I do like to have a few other things around me that relax me and make me feel more comfortable! 1) My first item I love is my green tea! I seriously couldn't live without this stuff! It has great health benefits and makes me feel great! Some people think its really expensive but you can buy it cheap from any major supermarket and its so good for you! It gets rid of the toxins and chemicals in your body and its great if your on a detox or feeling a bit sluggish! I tend to have about 2/3 cups a day and recently started having it cold which has been a great alternative when it's been a bit warmer! 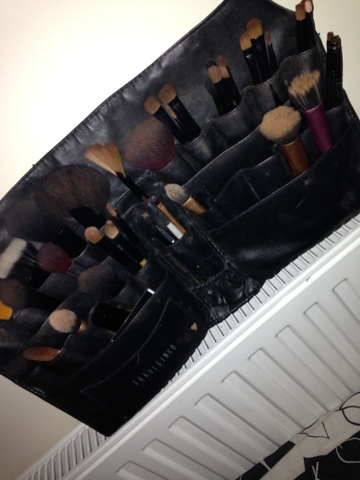 2) my brush belt! I have quite a few brushes and I was getting to be a sort of hoarder but then I brought my brush belt from amazon and fell in love! It holds everything including my tweezers and cotton buds! I do take it everywhere with me whether it being on a job or when I'm sleeping over at my friends and when I take brushes out to put in my bag during the day they are super easy to find! 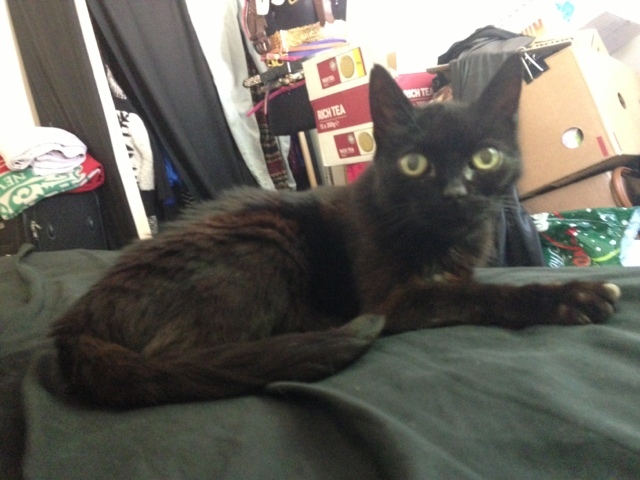 3) my tattoo- this is probably my favourite item on my post! 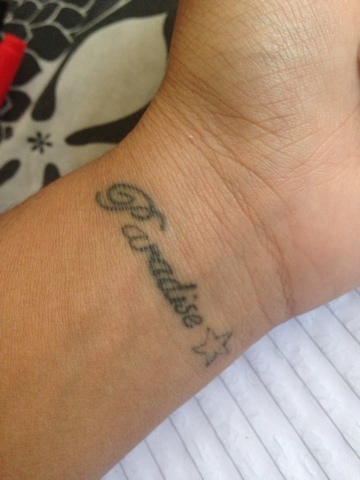 It's my only tattoo on my wrist that says 'Paradise' it has a very personal meaning to me. A close friend passed away last August and the main song at her funeral was Coldplay- paradise (available on iTunes) so I thought it would be a nice tattoo. I don't expect everyone else to like it but i personally wouldn't change it for the world and can't wait to get more soon! 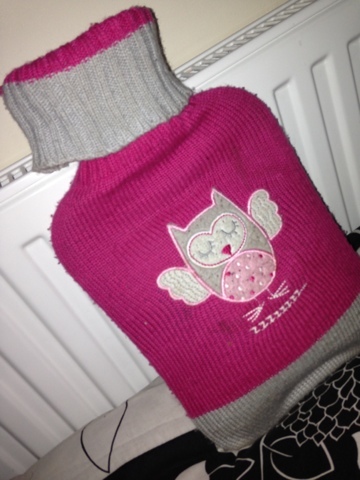 5) my hot water bottle- ok this may seem a little odd but it's gotten me through some painful nights! Winter nights aren't the same without my hot water bottle! Without fail almost every night, I boil the kettle and get it ready before I go to bed. I've recently suffered with a bad neck and this has been a lifesaver! Thank you hot water bottle!! 6) my perfume- I go thought phases of different perfumes and I've had many different ones over the past few years but I'm loving Versace at the moment! My mom brought me a set of 5 for my birthday in may and I use it everyday! 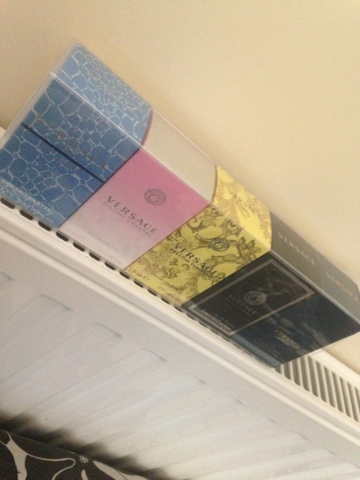 It's my go to perfume, I keep one in very bag so I always end up changing depending on what I'm wearing and my mood!